The Lewis R. Slanton Courthouse, also known as the Fulton County Courthouse, was completed in 1914 and has since served as the home of Fulton County government, save for a few additional buildings nearby added in subsequent years. 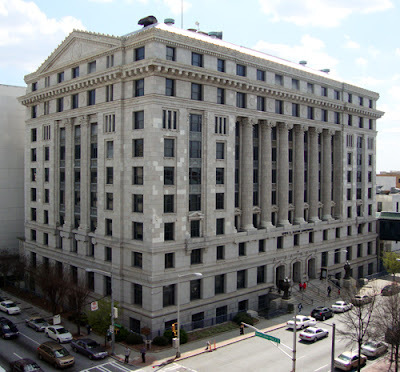 The architecture of the Courthouse is of the Neoclassical Revival / Beaux Arts Classicism style, rather unique in the Atlanta downtown area, but appropriate for the neighborhood. The Lewis R. Slanton Courthouse was the first million-dollar courthouse in Georgia, costing $1,250,000 and has more square footage than the Georgia Capitol Building, located just around the corner.